An Electromagnetic Drive Vibrating Feeder offers easily and continuously adjustable flow rate control together with virtually instantaneous stop-start material flow. A common use of a vibrating feeder is in filling applications where the electromagnetic drive operates at maximum amplitude to rapidly fill a weighed container. As the target weight is reached, the feed rate is slowed to a trickle until the final weight is achieved and the unit stopped. Vibratory feeders can also be used for metering product into an elevator, pneumatic transfer line or belt conveyor and discharging from silos, hoppers, bulk bag stations or bins. 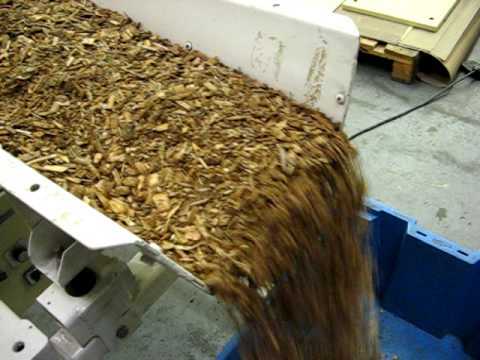 We manufacture a special range of hopper feeders that can be used as a means of bulk store for components and parts destined for automated production lines or bowl feeders. The hopper feeder capacities are up to 1.15 cubic meters. An electromagnetic drive feeder, used in conjunction with weigh sensitive frames, can also be used to break down smaller bulk loads from hoppers or bins into manageable streams - for example, when feeding food production lines or heat treatment furnaces.